I’ve always been intrigued, and a little confused, by the Volkswagen Van. 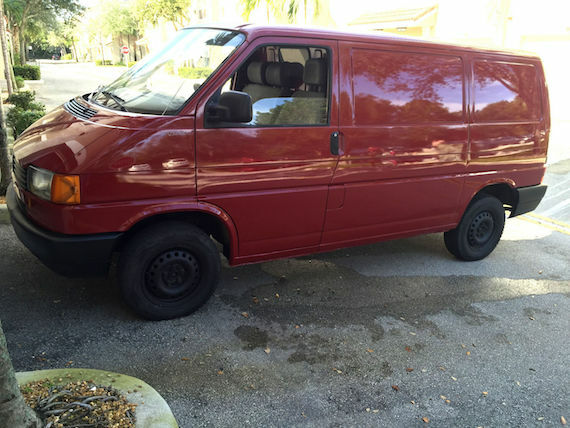 I first learned to drive on a neighbor’s T2, and I grew up in a period where vans were as cool as it got. Vans were ambulances. Vans were campers. And vans even carried the A-Team. Sure, the GMC Vandura wasn’t a Countach, but to kids in the 1980s it had nearly as much impact, fool! But it’s not the appeal of these vans that I find confusing at all. The first thing I find hard to follow are the various trim levels. Especially when it came to the T3 and T4 models, things get a bit complicated. 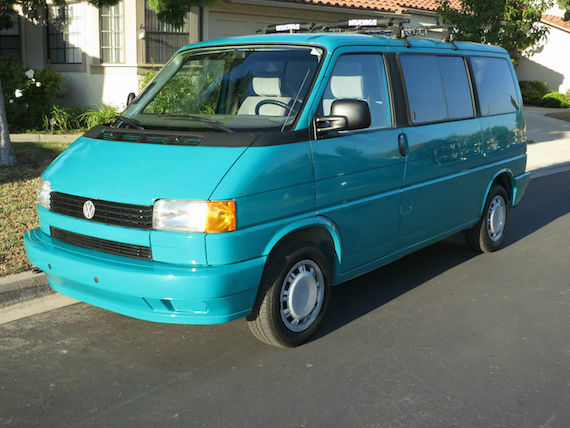 You could buy, for example, a Wolfsburg Edition Vanagon in the 1980s and early 90s. This was not to be confused with the Westfalia model, which was notable for having the pop-top. 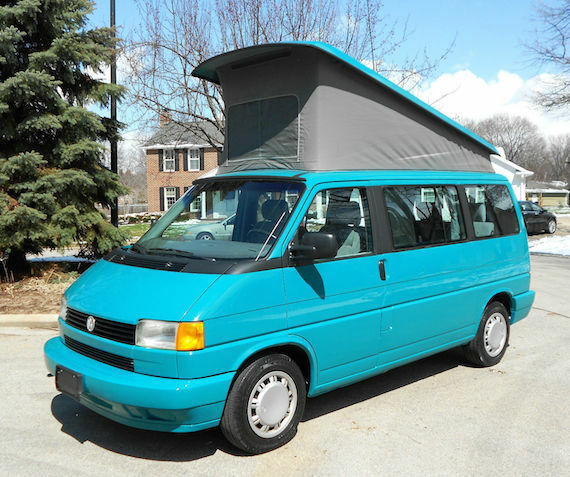 However, there was also a Weekender model, which sometimes had a pop-top but didn’t have the camping accoutrements of the Westfalia. That these were further available in two- and four-wheel drive made things even more confusing, and then – of course – there was a Wolfsburg Weekender for a short period. I don’t even know what came in that model. Well, I do, actually, but the point remains that it was confusing. The switch to the T4 was pretty revolutionary. Gone was the antiquated rear-engine layout, and cylinder count went up to five as Audi’s 2.3 liter motor was massaged into 2.5 liters with a short stroke for lots of torque in the new Eurovan. 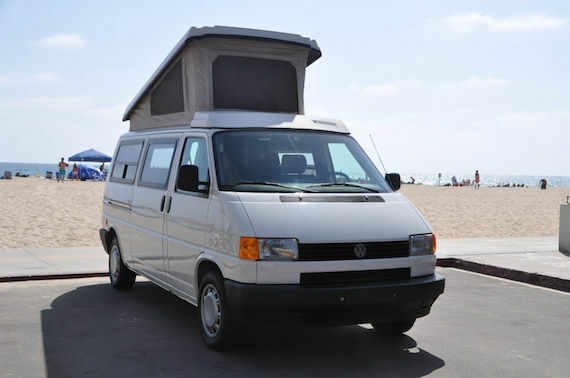 These came to the U.S. starting in 1993, and there were two configurations – the Eurovan and the Multi-Van (MV for short). The difference was the seating configuration, in that the MV had rear-facing seats behind the captain’s chairs and a table in the middle. Easy, right? Well, then there was the Westfalia model. Volkswagen hadn’t forgotten how successful the T3 was with the pop-top, so a new aerodynamic folding roof arrangement was added to the MV. But here was the catch – the new Westfalia didn’t have the camping gear, but instead was effectively the same as the previous Weekender. It was called the Weekender, too. The full campers were only converted by Winnebago and based on a lengthened chassis. These started being produced in 1995 and replaced the Westfalia in the lineup but were not called Westfalias. Winnebago produced an extra-fat and extra-expensive camper, too – the Rialta – which was half VW and half short bus. The Westfalia, and the pop-top Weekender, disappeared for a few years. The next big change in the lineup was one more cylinder for the 1997 model year, as the narrow-angle 2.8 liter twelve-valve VR6 replaced the inline-5. Power was up a bit (but only just at 138 horsepower) and was accompanied by a light restyle outside. Further changes came with the reintroduction of the MV Weekender in 1999 following the all-but-disappearance of the slow selling and ridiculously priced Winnebago, and finally, more power in 2001 with the 24-valve VR6. Despite upping power with dual cams, adjustable intake and double the valve count to net over 200 ponies (46% more power than the prior VR6!) Volkswagen also substantially cut the price – nearly 20% – of the T4, meaning the late models are probably the ones you’re going to find since they sold in greater numbers. Out the door, a GLS model sold for about $26,500 – nearly exactly the same sticker price as my Passat, but with much more space and utility. Move up to the MV, and you needed to pay about $3,000 more – but you got the folding bed, curtains, removable seats and flip up table. Another $3,500 paid for the pop-top Westfalia model, which now included screens, dual batteries and a refrigerator in addition to the signature pup-tent roofline. If you’ve visited our site in the last year, chances are you’ve seen me go off about wanting some form of T3 Syncro, whether it’s a Westy or Hightop, a DoKa or even a plain tintop. I give double points if it’s diesel powered. Well today brings something that we’ve never had here on GCFSB and in fact few of us even knew existed: a Syncro diesel Eurovan, here labeled a Caravelle because Canada. Beyond the fancy 4WD and oil burning motor, this van allegedly has every available option including the Business Package, which features a fold-out table, large motorized LCD screen, and 4 rotating leather captain’s chairs. All that, and yet my favorite part (besides the Syncro) is that it has still has a manual! Letâ€™s face it. Vans are not normally considered the coolest genre of vehicles. But with Volkswagen forbidding US customers access to their most recent Transporters and the commonality of the SUV, the Eurovan, as it was known stateside, has gained a bit of a cult status in the US. While the version equipped with the VR6 engine might be fresh in our minds, a few were sold here in the early part of the 1990s with a 2.5 liter inline-5 cylinder engine. 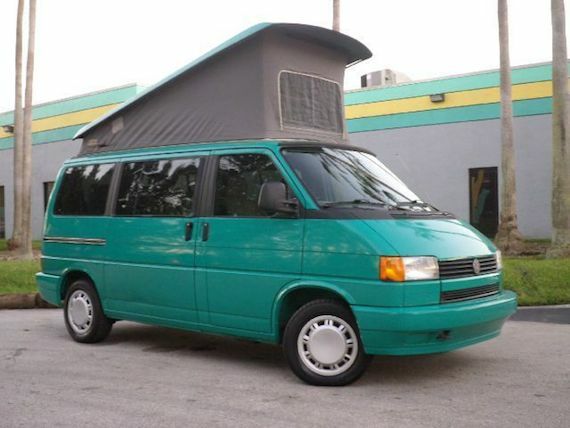 This Eurovan for sale in Florida looks very 1993 with its shade of green and is one of the early examples equipped with a 5-speed manual gearbox. As I continue on my van kick, today we’ll look at a couple of clean Eurovans that have a lot of life left in them but won’t break the bank. Maligned as the lamer, less-fun, front-engined descendent of the Bus and Vanagon. They’re a heck of a lot more authentic and European than the Routan, that’s for sure. 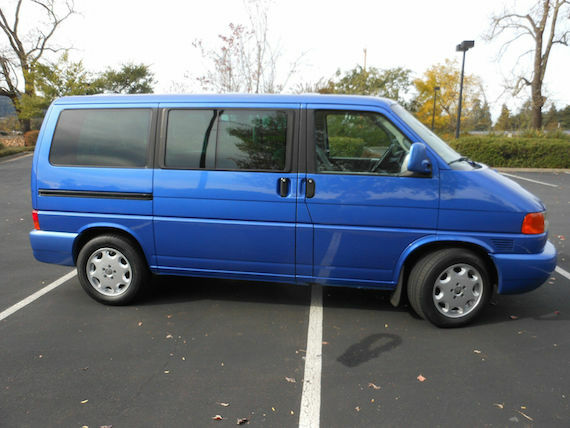 The first option is from the final year of the Eurovan, and it comes in the great, Estoril-esque Techno Blue. The Eurovan may be the least-loved generation of VW vans, but it’s grown on me. Similarly, non-poptop campers have become a new object of desire, bringing simplicity and sleek looks while still providing significant capability. 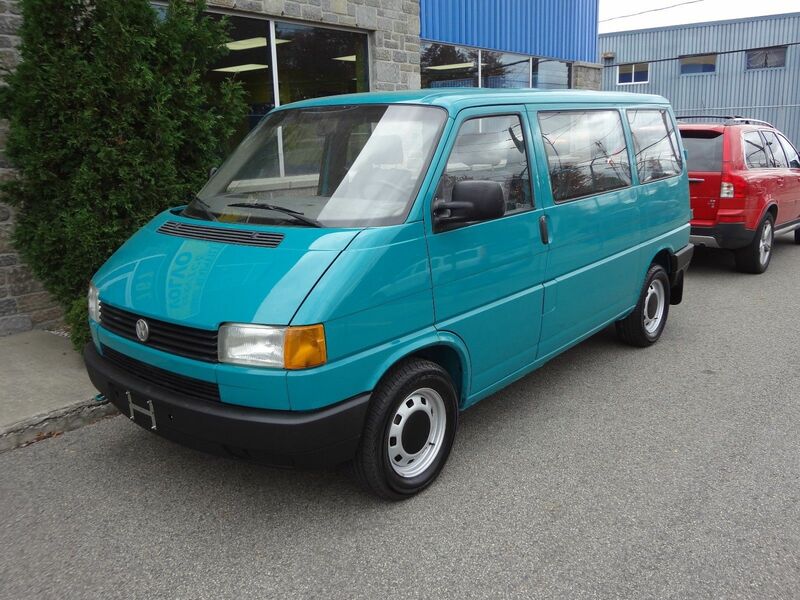 This teal van has a convertible bed out of the rear seats as well as a table in the middle, with a rare drivetrain combo in the inline-5 and manual. All told, it looks like a great deal to be able to tackle all kinds of adventures for well under $10k. 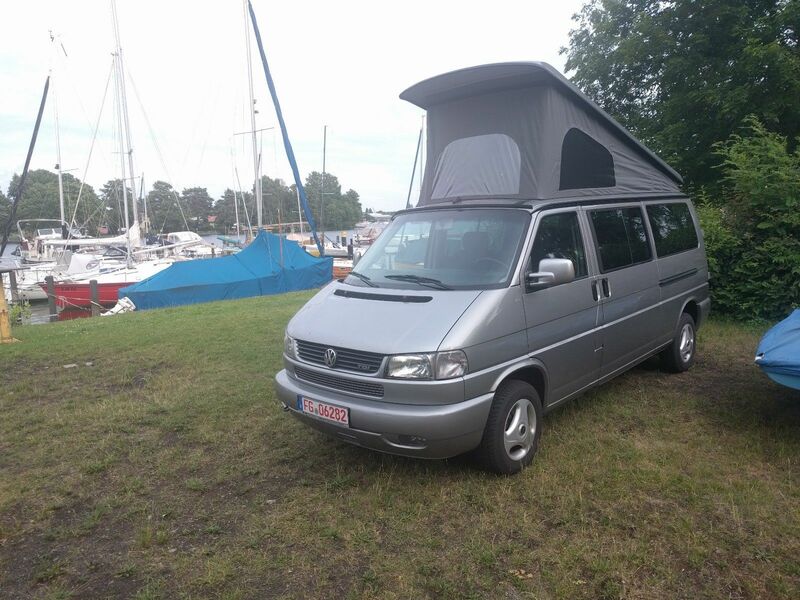 With Vanagons of all types commanding some very serious prices these days, those looking for economical ways to traverse the continent and sleep in their cars would be wise to consider the lesser-loved Eurovan. Today’s is an early model with a the classic 2.5l inline-5 and a rare 5-speed manual. 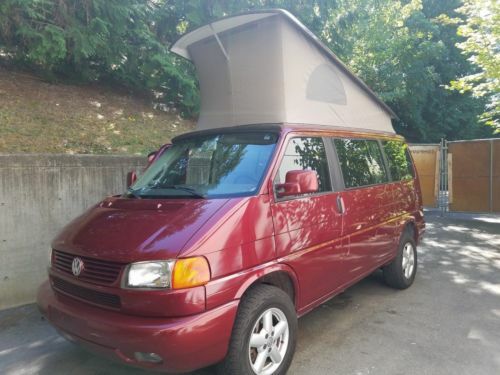 It’s only had one owner and has covered just over 80k miles in its two decades, making it a great choice for owner #2 who wants to travel in comfort and isn’t too worried about the Vanagon mystique. It’s a comprehensive Eurovan package that combines nice early-model simplicity with world-traveling capability. My proclivities lie in the 80s, especially when it comes to VW Vans. The old buses are cool, but after riding in my brother’s college-edition enough, it’s a little post-war for me. 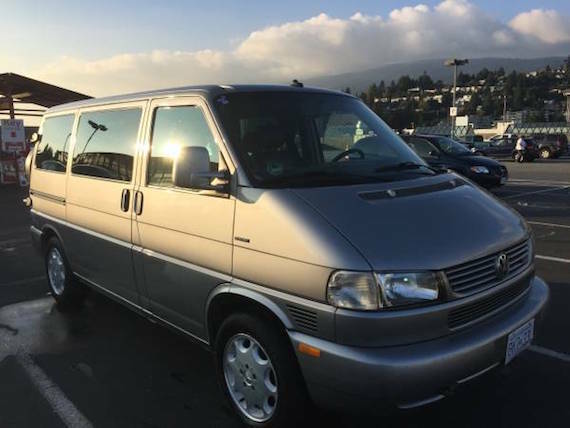 The Eurovan has always seemed like a capable fellow, but I was initially turned off by front wheel drive and less distinctive styling than the Vanagon. A friend is in search of one to someday be the ultimate family vacation vehicle, and despite being the more modern Van, they can be had more affordably than Vanagons. Today’s eschews the bland looks with an amazing original teal paint job. It’s put on some miles, but that’s what adventure vans are for!